Perfect for serving juice, this Anchor Hocking 1 liter carafe is a great way to enhance the presentation of your breakfast and brunch beverages. 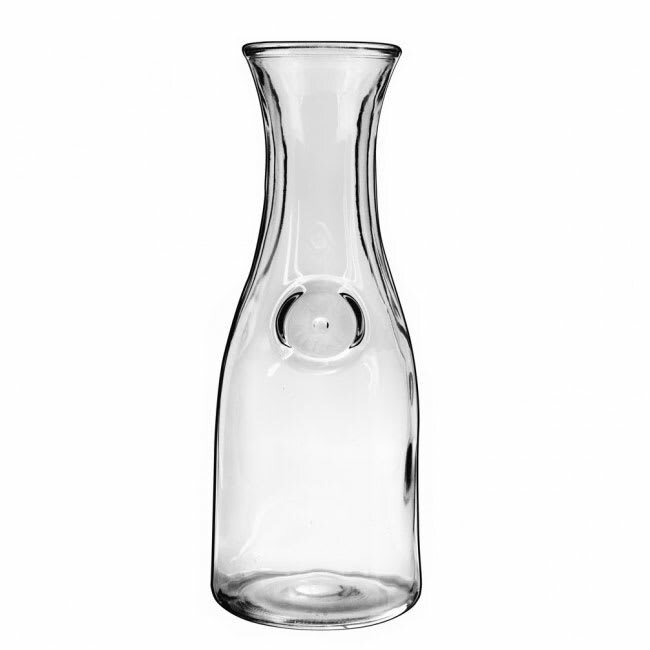 At 11" high this 1 liter glass carafe stands as a beautifully constructed centerpiece on your tabletop. Fill it with colorful juice, amber tea, or delicious milk! 1 Liter Carafe; 11'' height. 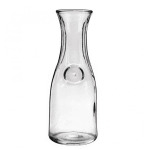 "I purchased the carafes for a baby shower that I hosted! They, seriously, were the talk of the shower! We placed two on each table with punch in..."
"I purchased the carafes for a baby shower that I hosted! They, seriously, were the talk of the shower! We placed two on each table with punch in one and ice water in the other! It truly gave the shower a very chic feel! The carafes are sturdy, well designed, and I love the looks of them! I marked a con as hard to clean but that's with any carafe! It's just an odd shape but SO worth it! Now, I use one of the carafes at home! [...] Thank you!!!"